As I'd mentioned once over the summer, I started going to Family Church Signal Hill as courtesy of Darell. And after being there for a few months and being involved with the worship team for a few months as well, I must say that I am beyond blessed to be at this church. 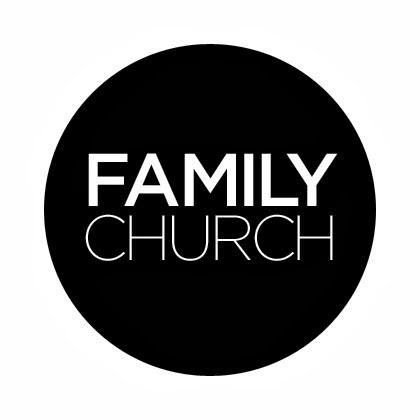 Before I went to FCSH, I hadn't had a home church for a few months, and although I go to a Christian university, I still felt like something was missing. I tried getting involved with the church on my school's campus, and although I love it there, something just didn't fit right with me. Darell had found the church because it's not too far from his house and he knew someone who had gone there before. He decided to check it out back in February and he loved it. Because I was still in school, I couldn't really visit his church regularly except during Easter weekend when I went for the first time. I started going more in the summer and went to the young adult services and the community groups. Soon enough, when I wasn't on my mission trip or at camps, I was at church. It was a nice feeling to be involved with a church once again. I was still getting used to how it was run differently and the people, but I enjoyed it there. Although I didn't really know anyone just yet, there was a comfort and sense of community that I loved. This past year was the first time that I had jumped from a few churches before settling at one because I had always had a home church growing up. Going a few months without a home church left an empty feeling in my heart. Now I know that only God can fill the voids in your life, but I knew that there was something out there for me that he wanted for me. And as the extrovert that I am, I needed to have a Christian community outside of school to fellowship with other people. After spending more time with my church family than I have since coming back to school this past weekend, it has reminded me of how grateful I am that God uses every little situation in our lives to bring us to where we are today. I was talking to my friend, Hilary (who is also my pastor's wife), and we were both exchanging stories of examples that we've seen God use situations in our lives or others and how it has brought us to where we are and allowed us to get to where we are at today. It's a little hard to believe if you think enough about it. For example, the idea that I almost could've gone to one of my friends' churches instead of my old home church could've meant that I would've never met Darell and that I wouldn't have been at Family Church or even Vanguard (my old youth leader introduced me to my school). A lot of people say that college is the time where most people question and even leave their faith, but why not make it the opposite? College could just as well be a time for people to explore, even grow in faith. I know that some people have bad experiences with church and/or religion, but please don't think that every single church or person who has any belief in God is that way. Not everyone fits the mold of whatever kind of bad experience you may have had with your faith. I originally wanted to write this post just to show appreciation for my church, but now I feel like there could be more to why I wrote this post than that. Maybe someone needs to know or read that there is hope in Christianity. Not every Christian hates gay people (actually I don't think that most do to begin with), not every Christian is "holier than thou," but yes, all Christians are hypocrites to an extent. We all talk about not sinning, but because we are human we are going to do it, whether we know it or not. But, I will say that not every Christian is afraid to admit that they still do things wrong. I don't know how this will benefit you or if it will at all, but I still think it's important to write this. So, do you want to find/come back/grow in your faith? My first tip? Pray. Prayer doesn't have to be formal and you don't have to use big, fancy, "Christian" words. Just have a conversation with God. Want to close your eyes and bow your head? Go ahead. Want to talk to him like you talk to your friends? You can do that too. Do what feels comfortable. Personal prayer is between you and God. If you are coming back to God or want to just grow in your faith, pray to God exactly about that and to keep you on track towards Him. If you want to find Jesus for the first time, then pray a prayer asking him to forgive you and to invite him into your heart. It doesn't matter how you say it; as long as you're genuine with what you say then it will definitely mean something to God. What's next? Dive into God's Word. Start reading the Bible weekly, then eventually daily. If you don't own one, there are apps for your laptop, tablet, or smartphone for the Bible, or you can even go on a website like Bible Gateway. Some people say to start with Matthew or John to learn about Jesus and his ministries, but I personally would say to start reading Proverbs because it's my favorite book, and the advice given in the book is straightforward and encouraging. But no matter where you start, you'll end up learning and reading some good stuff [: If the Bible is too intimidating for you to just pick a place to start reading, try looking for a devotional, whether in your Bible or in a devotional book or a website. I really like Hillsong Young & Free's Devotional. My last tip for now? Talk with others. Fellowship with other people who are going through what you're going through and see things in a similar way in regards to faith helps so much on your faith journey. Talk to your Christian friends or family. Talk to people in your church. If you don't know anyone or don't feel comfortable enough talking to anyone in your life about this, there is a website called chataboutjesus.com. It sounds fake, but I actually tried it once after seeing a commercial for it because I wanted to see how it worked. The people volunteering for that website are good people. Or, you are free to email me at throughtheeyesofacaligirl@gmail.com. I would love to talk and help as much as possible. And no judgement here--I've done lots of things wrong so I can't judge on you. If you don't have a home church, this would also be the best time to start looking around for one until you find one that fits you and makes you feel comfortable and safe enough to grow and confide in the people there. So those are the ways to start getting on with your faith. Faith isn't a three-step process, but I wanted to divide it and simplify it as much as possible to make it easy to understand and manageable to do. I know that the post is long but I hope that this helps. Until then, God bless you all! My Boyfriend is the Big 21! Being at the First Hillsong Conference in LA!